This is definitely one of the best recipes I have in my "queue" though. 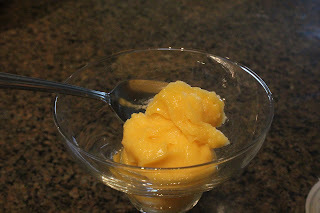 :) Sorbet is such a refreshing treat, and making it yourself is super easy. If you don't have an ice cream maker, you can just use a regular glass bowl or a big ziploc bag and place in the freezer - just need to keep an eye on it. You can also experiment with adding other kinds of fruit. Always add the sugar to taste depending on how tart/sweet your fruit is. My peach was pretty tart and this was the perfect amount of sweetness! I got my inspiration from both What's Cookin' Chicago? and The Parsley Thief, although I ended up with my own recipe. 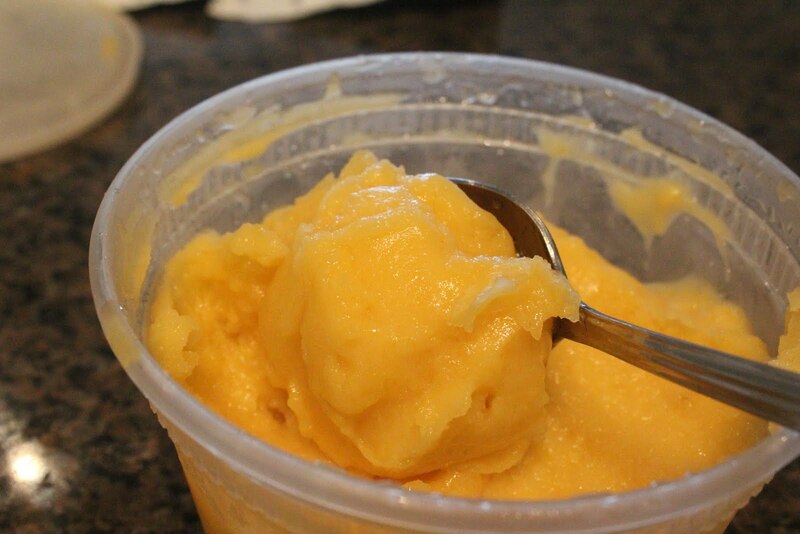 Puree mango and peach in food processor/blender until smooth with water and lemon juice. If it is kind lumpy, you can strain it. In a bowl, mix with sugar and vodka until smooth. Chill completely for a couple hours or overnight depending if your fruit was cold or not. Freeze in ice cream maker according to directions (mine was about 30 minutes). It will be pretty soft, but ready to eat! 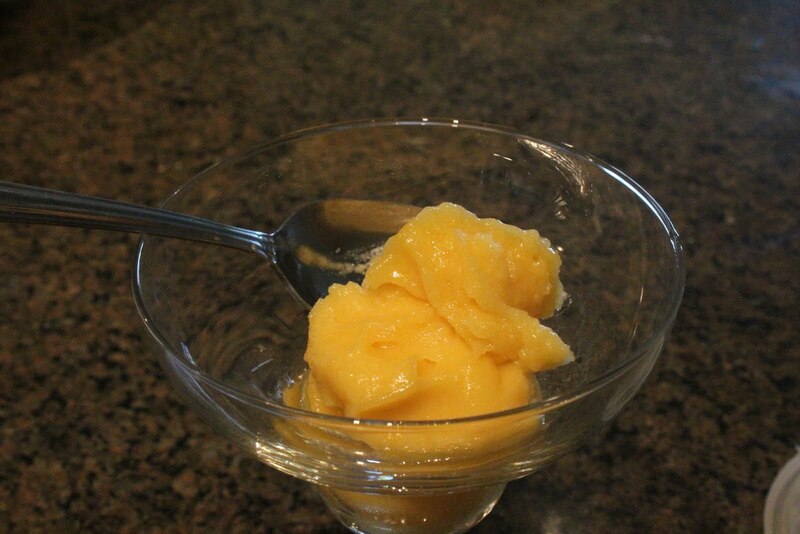 If you like it harder, freeze in a lidded container for a couple hours.